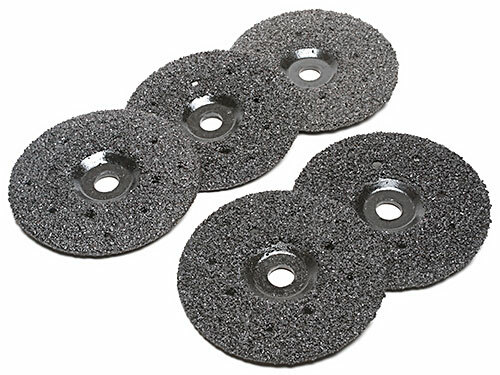 Sawtec ZEK Abrasive Grinding Disks are long lasting, inexpensive, aggressive discs that are designed for removing mastic, epoxies, paint, urethane coatings, carpet glue and stucco off concrete. 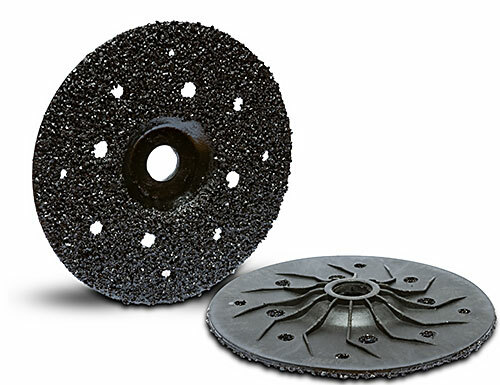 The silicon carbide material provides aggressive removal of coatings without loading up the disk. The reinforced plastic backing eliminates the need for backer pads. Two diameters are available: 4-1/2” and 7”, both with 7/8”-5/8” arbors. 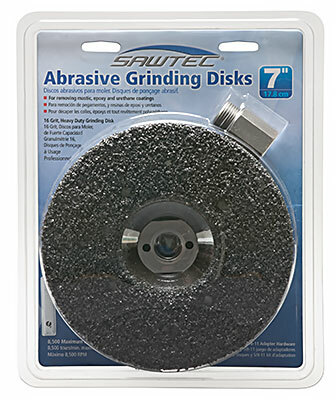 Sawtec grinding disks meet Type 27 grinding wheel performance requirements, per ANSI B7.1. 8,500 Maximum RPM. 5/8"-11 right angle grinder adapter for Sawtec ZEK wheels. Allows mounting of Sawtec ZEK abrasive grinding discs on SDG-7.